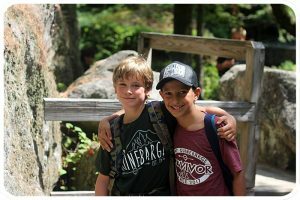 From making s’mores by the campfire to hiking the Great White Mountains, for over 80 summer’s Camp Quinebarge has been known as one of the most traditional Summer Camps in New Hampshire. Campers and parents love how Camp Quinebarge has really embraced the traditional aspects of camping. 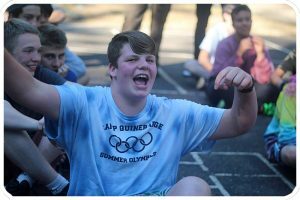 Our sense of Family, Community, and a lot of Fun is why Camp Quinebarge is one of the best traditional Summer Camps in New Hampshire. When Campers arrive at Quinebarge they say goodbye to their parents and say hello to the kids in their cabins. They soon realize that the friendships they make with the kids in their cabins become friendships that last forever. Recently at Quinebarge we had our 80th reunion. At the reunion campers from the 1940-2000’s reunited and shared all the amazing stories and experiences they had at Quinebarge. 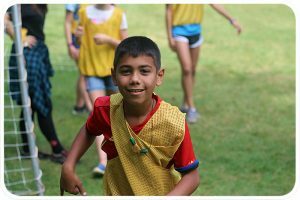 It is the tight friendships and bonds that cause campers to return year after year and to rise through the camper and staff ranks. Every day at Quinebarge, we send out one or more small groups of campers to hike, canoe, and explore New Hampshire’s beautiful lakes, rivers, and mountains. Campers bond with their fellow adventurers and log hundreds of miles throughout the White Mountains. Campers can choose to go on as many trips as they like, and love making memories with their friends. Our Trips team focuses on safety and fun, choosing hikes for every ability each session, ranging from the gently sloping West Rattlesnake, all the way up to Mount Washington – the highest peak on the Appalachian Trail! Camp songs, camp fires, even our own camp fire fires, Monkeytown, cabin sleep outs, camp food (delicious! 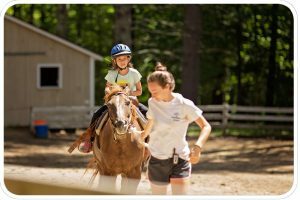 ), archery, swimming, boating, woodshop, all camp capture the flag, end of day Friendship Circle and cabin Candle Pass, are all the great traditional activities that make Camp Quinebarge the best traditional overnight summer camp in New Hampshire.